• Which phone devices will the Crickle app work on? Crickle is optimized for Android and iPhones and will work on all recent models. • Can I transfer the app to my new phone? Apple: If you are an iPhone user, and you have already purchased Crickle, and you have bought a new phone or have reset your phone, you can re-install the app by opening the APP STORE app, then searching for Crickle and clicking get app. Now go to SETTINGS > RESTORE PURCHASES and this will unlock the app again for you, and you will not be charged. Android: If you are an Android phone user, open the PLAY STORE app, search for Crickle and click install. If you have already bought the app, simply go to SETTINGS > RESTORE PURCHASES and this will unlock the app again for you, and you will not be charged. • Can I replace the app if I delete it accidentally or lose my phone? Yes, just follow the same steps above. • If the app updates, how will I receive the updates? Apple: Open the APP STORE app, click the UPDATES button, and if there is an update available, you will see Crickle in this list. Just select UPDATE to get the latest version of the app. Android: Open the PLAY STORE app, click the side menu button, then select MY APPS. If there is an update available, you will see Crickle in this list. Just select UPDATE to get the latest version of the app. • How do I contact Crickle Ltd? Please use the form on the Contact Us page or email hello@crickle.com to contact the Crickle management team. Free to use press-information is available anytime from the online press pack. • Is Crickle copyright, a registered trademark and patent pending? Crickle is a registered Trademark owned by Crickle Ltd and the intellectual property is similarly wholly owned. Copying Crickle in any way or form, for realization on any platform, is prohibited and a breach of the law. Crickle is optimized for Android and iPhones and will work on all recent models. The best way to play Crickle presently is on your mobile phone. • Can I play Crickle on my tablet, PC or MAC? From Monday 6 February you will be able to play a browser based version of Crickle Breeze on your PC or MAC by going to http://www.miniclip.com Other versions of Crickle will be released in future. Please sign up for Crickle e-news to be notified of the launch date when it is known. • Can I play Crickle for free? Yes – there are two ways to do this. Firstly, from Monday 6 February you can play the Breeze version of Crickle online for free by going to www.miniclip.com, and choosing Crickle in the word games section. 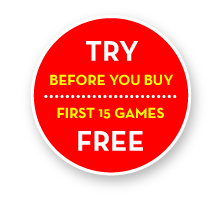 Secondly, you can download the app on to your phone and opt to take advantage of 15 free games before paying the purchase price of 99p. • I do not ‘do apps’; can I play Crickle online? • I would like to try the app. Where can I find step-by-step instructions on buying and downloading? They are available on this website – click here. • Is Crickle easy to play? Yes and there are quick guides, demonstration videos and tutorials available on this website and from the front screen of the app itself. Click here to watch a video. • How do you get a high score at Crickle? You need to be fast, use high scoring letters and create long words. These are the only three variables that contribute to the score. Players may want more details on how the game is scored and we are likely to provide those on the site soon. It is worth placing a word within 20 seconds as that earns 20 points. Some of the scoring information is of course always available on the Game Result Screen where you are shown individual scores for each word and given a break down score for your best word. English, American and some alternative spellings, are included. The Crickle word list is owned and actively maintained by Crickle Ltd. The list is believed to be comprehensive and up to date but the Crickle Dictionary Manager would be pleased to take word submissions from any players who wish to submit a word which they believe should be included. Please use the contact us form on the Contact us page of this website. The dictionary is updated with each new release of the app. • What are the full rules? The game result screen is final – which means the Crickle algorithm, word list and program determine the score achieved – and that is final. Many of the rules are implied by the game selected eg the number of floats a player may use and the number of boats they must create. Other rules are described and apparent on the front screens of the game – such as the fact that a set of new letters costs 30 points and pausing a game disqualifies a game result from being posted on the main leaderboard. If the Crickle dictionary does not accept a word which a player believes should be accepted, then it would be appreciated if the player would communicate that to the Crickle Dictionary Manager via the Contact us page on this website. But, for the purposes of play, the Crickle Dictionary is the one that is loaded and the result the dictionary gives is definitive. Repeated words – ie an identically spelt word – may only be repeated three times in a row. • How is Crickle scored? The score is calculated according to three factors – the face value of the letters, the length of the word and how quickly the word is placed. If a word is placed within 20 seconds, 20 points is scored. Points for ‘timing’ then drop off as more time passes. • How does the letter rack replenish? The letter rack replenishes randomly. This means that the program goes to the ‘random letter set’ and dips in to the full set, randomly. So even though there is only one Q in the random letter set, it is possible to get more than one Q in a single game as each time the rack replenishes, the progam is choosing from a full random set. • Is there a facebook and twitter site? • How do I post to Facebook and twitter? See the links at the bottom of the Game Result Screen – click the icons and post to Facebook or Twitter. The other icon is used to post to the leaderboard. • How can I get news about Crickle? News about Crickle is available on facebook/cricklegame, twitter/cricklegame or by signing up for Crickle e-news on the website. • Does Crickle management welcome feedback about Crickle? Yes we like to hear from players. Please do get in touch via the Contact us form on this website.